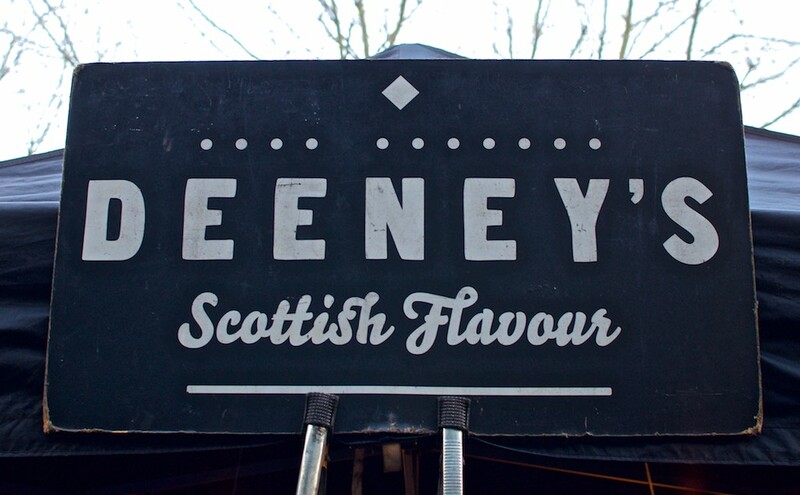 Known for their trademark Scottish haggis toasties, Deeney’s founder Carol Deeney, and partner Paddy Dwyer discuss the 7 keys to their success in London’s street food scene. Carol grew up above her parents café in Aberdeen, Scotland. She would walk downstairs to the smell of her mother’s cooking, the buzzing atmosphere enticed her every morning to see what the fuss was all about. “Mums produce was Scottish oriented, as well as toasted sandwiches. This is where my inspiration came when looking for street food and there wasn’t really any toasties in the street food scene at the time. My niche brand, my point of difference, my whole Scottish vibe was something I could tap into and be an authentic brand”. In 2012, after working in advertising for 3 years, Carol decided to start her own street food business by combining her knowledge in advertising with her inherited love of food. Studying business management in university ensured Carol would prepare a business plan before stepping foot into the street food scene. She connected with The Prince’s Trust, a charity that helps young people reach their career goals. Carol pitched to a panel of advisors, a similar concept to that of the ‘Dragons Den’ where she had to provide a coherent business plan to be accepted into a 6 week program alongside a loan to start things off. “It basically simulated being out on your own as if you were pitching to a bank or investor”. The charity also paired Carol with a mentor to seek advice from. “I got partnered up with a guy that runs his own chocolate factory, he wasn’t Willy Wonka but he did own a grown up chocolate company!”. Having the right mentor was invaluable as Carol gained real life examples, relayed some ideas and challenged her thoughts from someone with a proven track record. “It’s easy to be hell bent on some ideas and not think about it objectively”. Carol and her partner Paddy would head to a market on Saturdays and imagine making the jump into the street food industry, leaving their passionless jobs in advertising and marketing. Initially, Paddy thought he would be in the background handling the digital side of the business but very quickly his responsibilities increased. “It was very difficult to watch her deal with the heavy lifting. I started being a workhorse and helping set up”. Carol compares running a street food stall to moving house everyday, “you have to load the van, drive it somewhere, unload and bring it back. The stock is 10kgs heavy, the grills are 25kgs and gazebo another 35kgs. I was managing it but I was doing that twice a day. The business plan was fine but getting Paddy to support me was very practical”. Paddy kept his job while helping out at Deeney’s, working 7 days a week for a few years before committing to full time. “I really enjoyed it because the work was different and it was a different style of work. It was uplifting (no pun intended) working at the weekends, running our own business and being outside”. 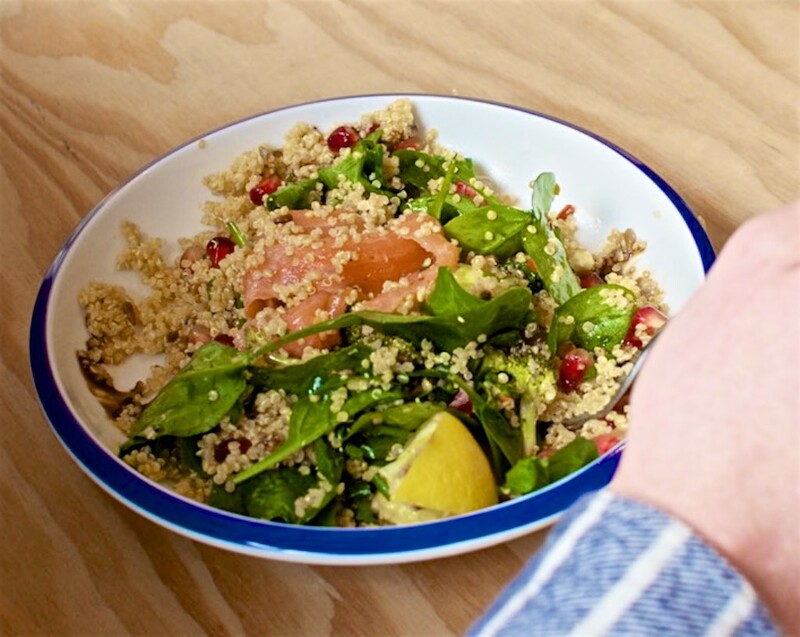 By 2016, Deeney’s was well established and the couple began looking beyond the regular street food market scene. They ventured into temporary kitchen residencies, where they could expand their menu and test the waters for a possible bricks and mortar café of their own. The Dukes Head Pub was the perfect place, with monthly kitchen pop-up rotations. Deeney’s took over for the month of January 2016 and spent Burns night reciting his famous poem and serving haggis. Another opportunity came along when a shop became available in Leyton, East London. “We got the keys, set a goal of opening in 3 weeks, got in, gutted it, then roped all our mates and just painted the whole thing one weekend”. Deeney’s have now set their sights on franchising; with Deeney’s Toyko opening later this year. For Carol, it was all about putting in the groundwork, “there were times where I didn’t think it would work out, I didn’t have a business, we weren’t making any money, I was shattered. But I had a huge drive because you see the potential and it’s down to hard work”. For Paddy, it was getting that instant satisfaction, “You enjoy someone enjoying the sandwich you made and instantly reminds why you are doing it”. They both agree that building up a regular customer base is rewarding; “sometimes you might not feel like going to work that day but we’re going because someone is relying on us to make Deeney’s haggis toasties. We’re part of their routine, they’ve already tweeted about it. You know you are getting up and gonna make a difference to their day in a small but nice way that kind of matters, there’s a human feeling about it”. 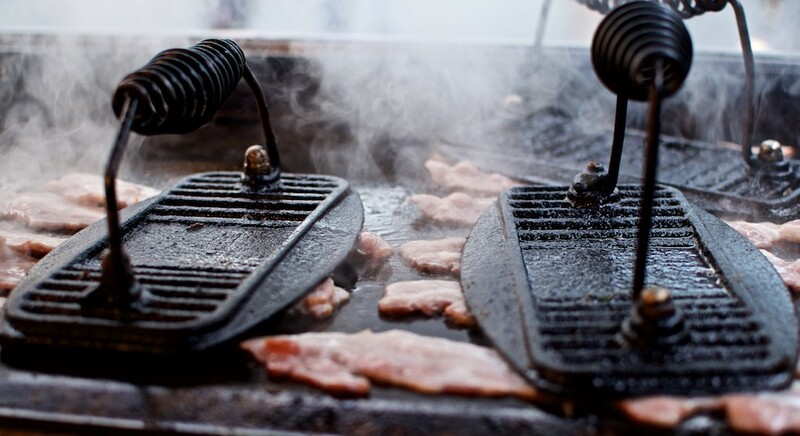 Check out the Streats app to discover more incredible street food in London, available on the App Store.